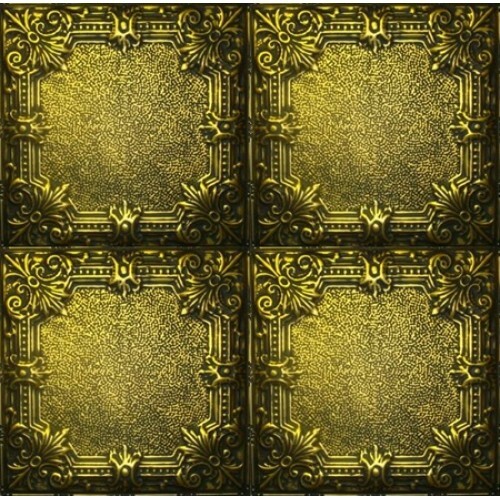 Antique look metal ceiling tiles and panels are manufactured with patterns that mimic the look of metal ceiling tiles from the early 1900s and can be used to dramatically change the look of your house, building, warehouse, restaurant or office. 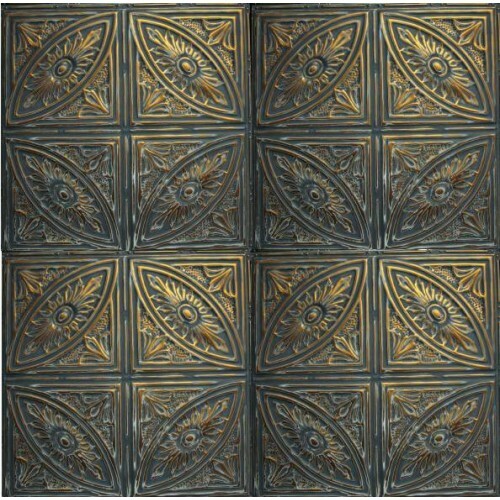 Antique look metal ceiling tiles and panels are available for nail-up, drop-in and deep drop-in installation. Nail-up tiles are nailed directly to plywood or furring strips and drop-in and deep drop-in tiles are used in drop (or suspended) ceilings. A smaller selection of our tiles is also available for installation using our snap-grid system. 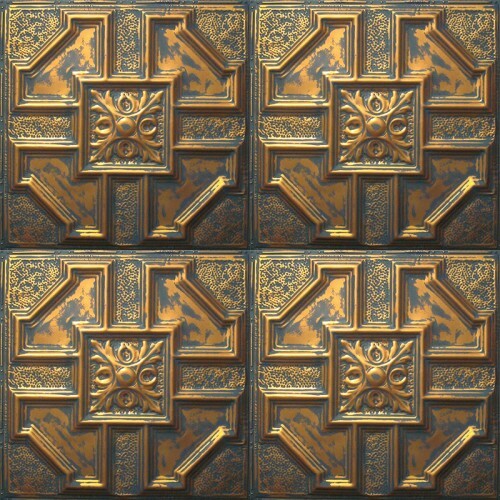 Metal tiles and panels are available finished and unfinished in more than 30 different stamped designs and in more than 80 different colors and finishes. Our tiles are available in 24in x 24in sizes for all installation formats and are available in 12in x 12in sizes for nail-up installation for kitchen and bathroom backsplashes, wainscoting and similar projects. In addition to tiles and panels, we also produce matching metal accessories like molding, edging, switch plate covers and cone head nails. The Metal Ceiling Express Blog is regularly updated with tips & tricks, design ideas & articles about metal tiles and their history. And remember to bookmark the Metal Ceiling Express Facebook page where we share new and interesting material about our products.